Add butter to the same skillet. Place potatoes in the hot skillet, sprinkle them with the remaining ½ teaspoon of salt and cook them until browned, about 30 minutes. 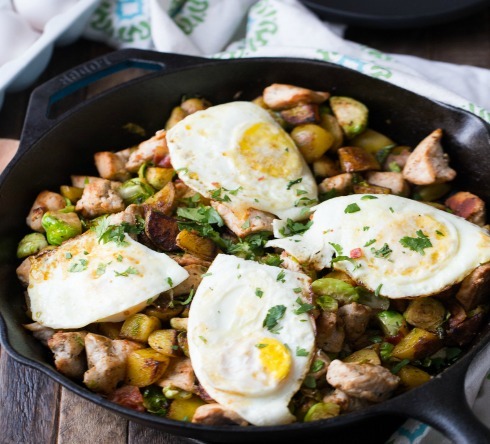 When potatoes are finished, add sprouts and turkey to the potatoes reduce heat and stir. Keep warm. To serve; divide hash between 4 plates and serve with the egg on top. Tanya is the author, photographer and creator of Lemons For Lulu. 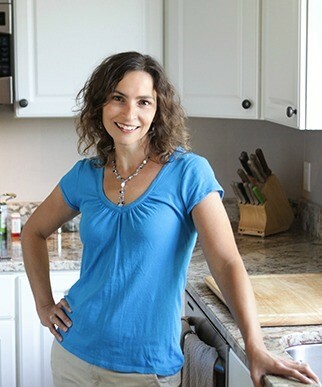 a food and recipe blog where Tanya shares her love of cooking with her readers. Her blog is about no fuss recipes made with fresh ingredients. Simple meals that will put good food on the table fast so readers can spend more time with family.